A marsh harrier coming in to roost over Arundel Wetland Centre. Photo: Romney Turner. 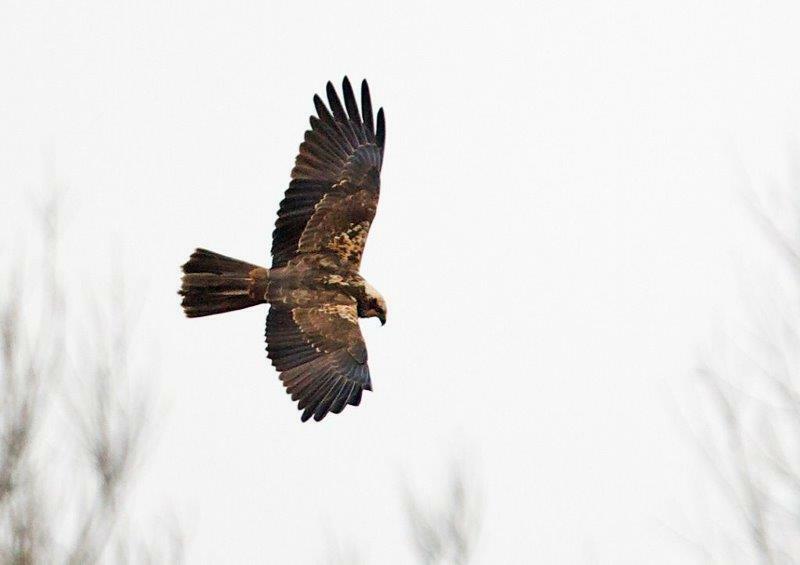 Three years ago The Wildfowl & Wetlands Trust wardens were excited when two marsh harriers began flying into the far reedbeds at Arundel Wetland Centre in the late afternoons. Last year the number of marsh harriers regularly hunting and roosting on the reserve increased to six in the winter months. This winter eight marsh harriers have been counted by WWT wardens for the monthly Harrier Roost Survey run by The Hawk and Owl Trust for the past two months. The eight birds at Arundel are the largest roosting population recorded in Sussex and the fifth largest concentration of marsh harriers in the Essex-Kent-Sussex area. It is easy for visitors to see the marsh harriers in the Arun River Valley. The birds arrive at Arundel Wetland Centre around 4 pm in the afternoon, flying low over the reedbeds before landing in the reeds to spend the night. The marsh harriers often make a few passes before landing. The best views are from the Scrape hide and the Reedbed hide and you will need binoculars. Arundel Wetland Centre closes at 4.30 pm but it is staying open late on Sat 19 Jan to make it easier for visitors to see the marsh harriers. Little egrets and pied wagtails roost in numbers at Arundel Wetland Centre - even more species to watch out for in the evening roost.